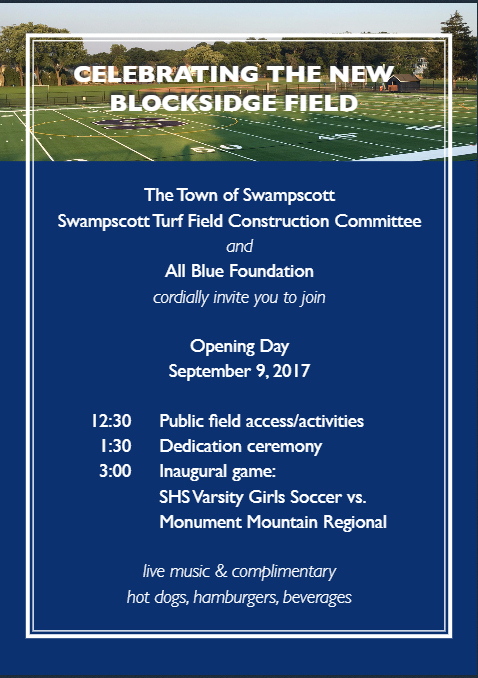 The Big Blue Blog: Welcome Back to Swampscott High School! Our first 3 day week was a whirlwind of activity- we had meetings with the entire school and with each class, and our students in grades 9-11 had their school photos taken. We said goodbye to longtime vice principal Frank Kowalski. We are welcoming our new Vice Principal within the next week or two, and will make that announcement as soon as we can. We extend a warm welcome to the incoming freshmen class of 2021. We believe this is going to be a wonderful year of learning. Update on forms: Forms can be found at www.swampscottps.org under the Resources tab. There is a section called “For Families” and the documents you need can be found under Back to School Paperwork. Please print all of the forms, complete and sign the forms as instructed and return them to the high school along with the Student Information Verification form. Senior Photo Retakes are Friday, September 8. Wednesday, September 26, 2017 – Senior parents are invited to a financial aid information night to prepare for college. This will be held in the SHS Auditorium with Guidance Counselors from 6:30 p.m. to 8:30 p.m.
We update our website weekly with important information and I publish the Big Blue Blog weekly. In addition, we will use email to provide periodic updates regarding events at the school and other general information. You can also follow the high school on Twitter @BigBlueMurphy and @SHSGuidanceDpt and/or follow the Superintendent @sps01907 for all the latest information. Activities & Sports: These updates are provided directly from coaches & advisors. At this time, no updates have been submitted, and we hope to have information coming soon. If you are a new coach or advisor, please email mackey@swampscott.k12.ma.us for the link to submit your updates.